Max McDermid, store owner and operator, and Lotu Fuli, Otara-Papatoetoe Local Board Chairperson at the official ribbon cutting. 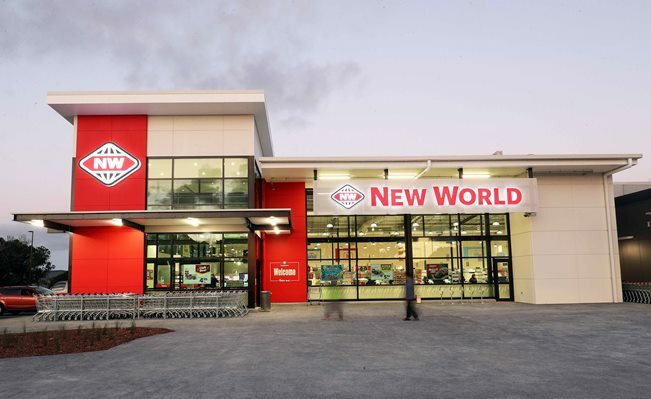 After an 11-month long refurbishment, New World Papatoetoe has officially re-opened its doors to the community. The refurbished store on St George Street is open 7am – 9pm 7 days, offering a delicious range of fresh meat, seafood, deli and produce. The new store will now employ 95 staff (11 more staff than the old store) and features top-of-the line lighting and refrigeration systems. The gross floor area is 2,891m². New World is 100% Kiwi owned and operated and part of Foodstuffs. Panuku Development Auckland’s plans for Papatoetoe involved upgrading Old Papatoetoe mall and town centre. The refurbished New World supermarket and carpark, and more than 200 homes are also part of the project.